For the below optional functions, the software part of these functions are already exist, but to enjoy these functions, below optional euipments are needed. And, anytime to add following equipments is workable. 1. Commercial model--"fast steam", steam out in 30 seconds. Steam generator will keep the water at 85â„ƒ, steam will come out in 30 seconds after user push the button. 30minutes a cycle. 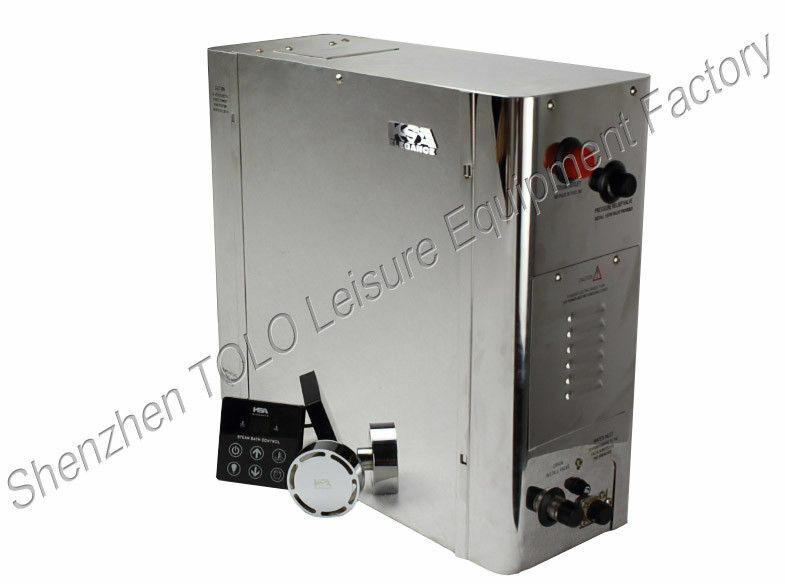 This function helps a lot on commercial use, your customers will enjoy sauna in a quite short time, only 30 seconds; besides, with the technology of sectional heating, it’s also very energy-efficient for yourself. Appearance, elegant, and easy to observe the application amount & add essential oil at any time. Salt bath can sterilizing, can clean & whiten & moisturize the skin, anti acne, reduce blood pressure, lose weight etc. Many of our customers feedback that it’s easy to deposit scale in the tank, so we have added this new function --- auto descaling in our new AIO serious. Auto descaling, easy control and time saving. Don’t need to worry about scale anymore. Wifi connection device, exclude wifi router. 3. Auto Descaling device, easy control and time saving. Don’t need to worry about scale anymore. 4. 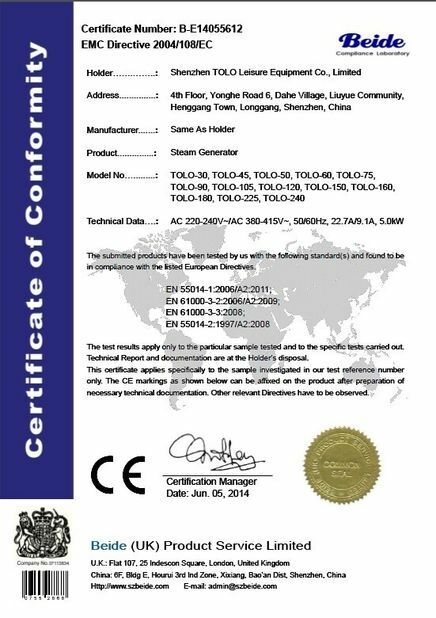 TOLO AIO series commercial luxury bathroom steam boiler, steam generator is not only a steam generator, but also a sauna system. 5. Fast steam (steam out in 30 seconds), very useful function. 6. 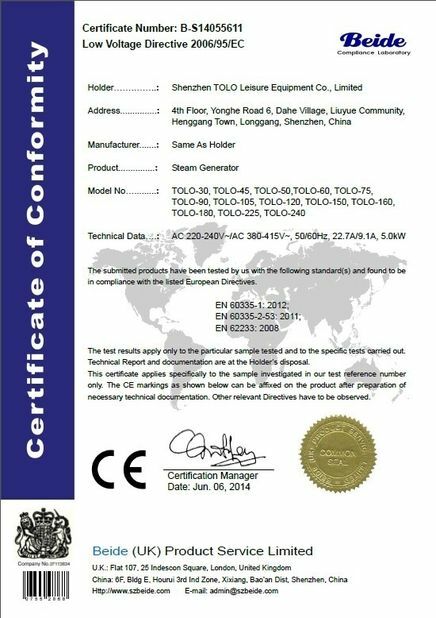 Overheat protection, Power off the heating elements instead of shutting off the relays --- much safer than other brand’s steam generator. 7. 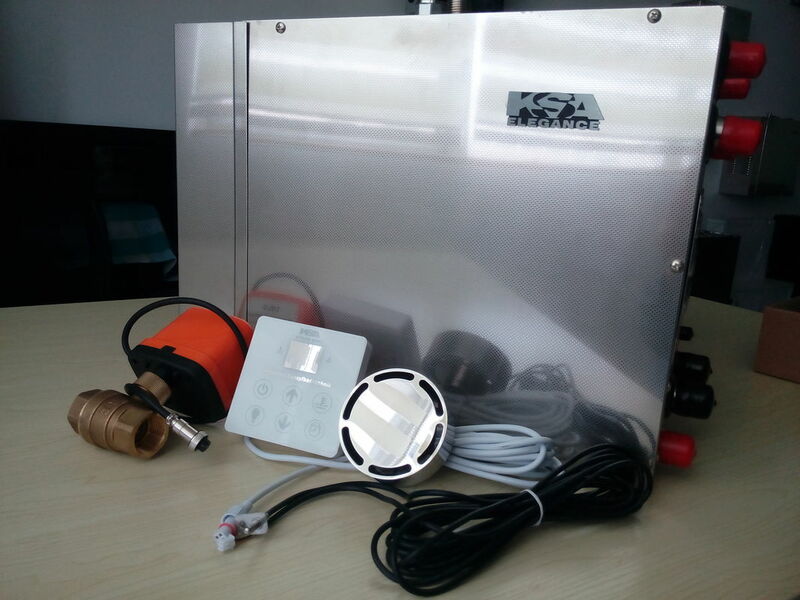 Our engineer team have more than 15 years work experience in steam generator/sauna heater.